Day 7: Hue to Hoi An (+- 70km asphalt road ) . Cycling in back road of country side from Hue to VinhHai beach ( +-70 km flat asphalt road ) . 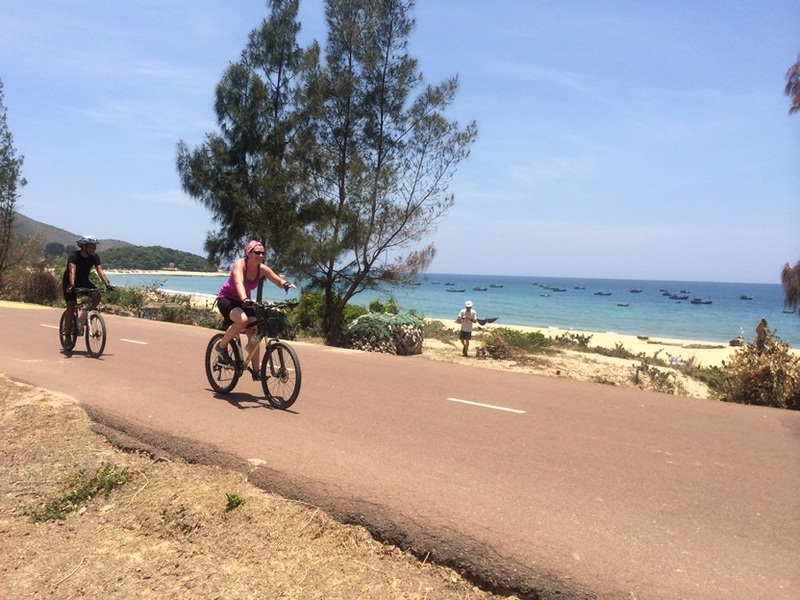 Day 13: NhaTrang – country side cycling ( +- 25 km ). Driving to Dien Khanh , Cycling in country side visit village, rice field , fruit garden. Riding back to the city visit Thap Ba ( Pogana Temple ). Pm relaxing on beach. Accommodations in hotels in Hanoi, and local hotel around trip as mention with 4 nights in 2 star hotel and 6 night in 3 star hotel, 2 night in 4 star hotel.